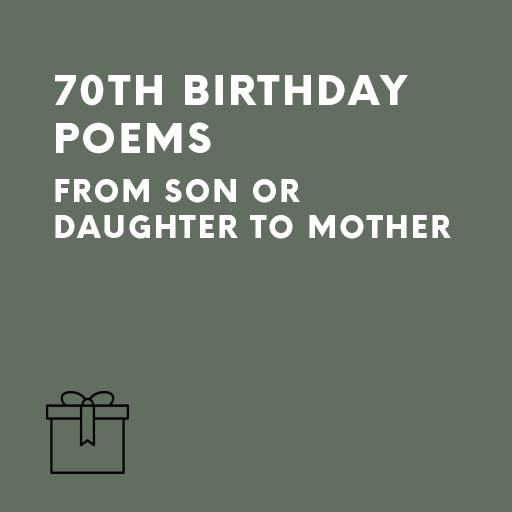 These poems are ideal for you if you are a son or daughter who wishes to toast your mother on her 70th birthday. Three of the poems are light-hearted, yet sentimental poems to a loved mother. The other three are our more general 70th birthday poems and are more tongue-in-cheek. The poems mention the care and attention she has shown you in the past and wish her well in the future. If printed & framed, one would also make a thoughtful memento of a special day.